Ireland sealed top spot in their Eurohockey Championships II pool after a comfortable 3-0 win over hosts Czech Republic in Prague on Tuesday. Chloe Brown fired home an early opener and Yvonne O'Bryne deflected in Shirley McCay's strike just before the break. Ireland squandered numerous chances before Emily Beatty netted from close range on 55 minutes. The Irish won all three of their pool games and will meet Belarus in the semi-finals on Thursday. Victory over Belarus would secure a place in the decider and also promotion to the top flight of European competition. 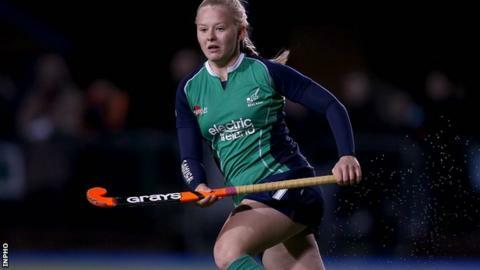 "I thought we controlled the game very well from start to finish, creating some very good goal scoring opportunities," said Ireland coach Graham Shaw. "The girls stayed patient throughout, moved the ball well and scored three good goals." Subs: Davis, O'Byrne, Lloyd, Duke, McDonald, Meeke, Beatty.